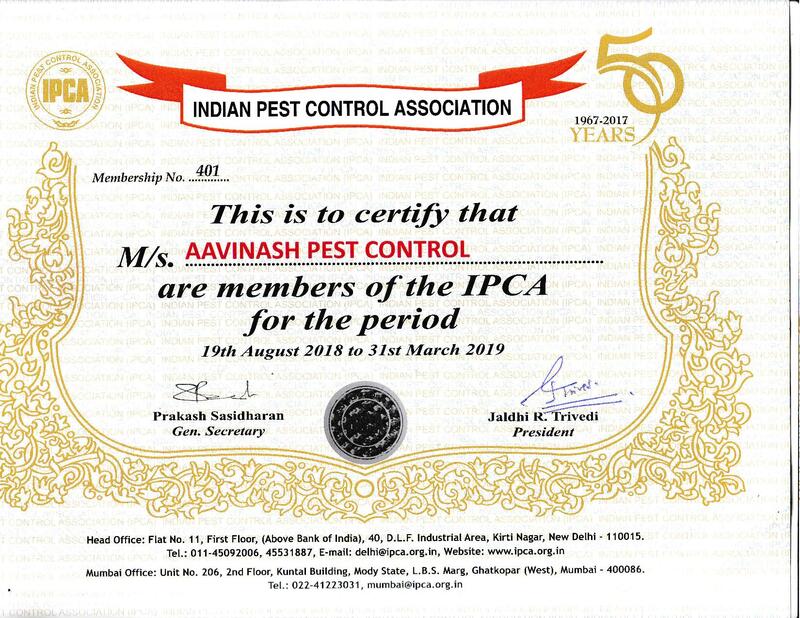 At Aavinash Pest Control, we have been protecting residential and commercial properties with our enhanced pest control services for over 10 years generating more satisfied customers. We are one of the top-quality pest control services in Chennai and in Tamilnadu, dedicated in giving satisfaction, happiness, peace and providing pest-free, hassle-free and safe environment to our customers. Our services include various Industry-acclaimed procedures. To mention a few, termite control, fumigation, prevention of ants and rodents, thermal fogging, gel treatment and herbal treatment. Aavinash constantly maintains its position as one of the best residential pest control services in and around Chennai region. We are also seeked by several business firms as we maintain ourselves as one of the best commercial pest control services in southern region of India. You can be a family, a corporate firm, a group of companies, or a manufacturing unit. When you are looking for best residential pest control services and commercial pest control services in and around Chennai or Tamilnadu, you will find that Aavinash pest control service is top-ranked and on the prime position in the entire industry. We are specialized in applying pre contruction anti termite chemical for large residential buildings, commercial complex etc. We gurantee 100 % control of pests. Aavinash Pest Control is one of the fastest growing Pest Control Companies. Our success can be atttributed to giving our clients the service they want in an eco-friendly manner. We provide specialized, affordable and safe pest control services against termite, mosquito, bed bug and wood borer to residential and commercial buildings at a nominal cost.